Litfest was one of the first groups in the UK to receive a Heritage Lottery Fund (HLF) All Our Stories grant for its Castle Park Stories project. The project encouraged local people to uncover the hidden stories in the area around the castle and develop writing around a site of their choice. In January and February 2013, more than 30 project participants took part in a series of research visits and workshops. Working with a historian, writers, a photographer, archivists and designers, participants uncovered stories and explored ways of sharing them. 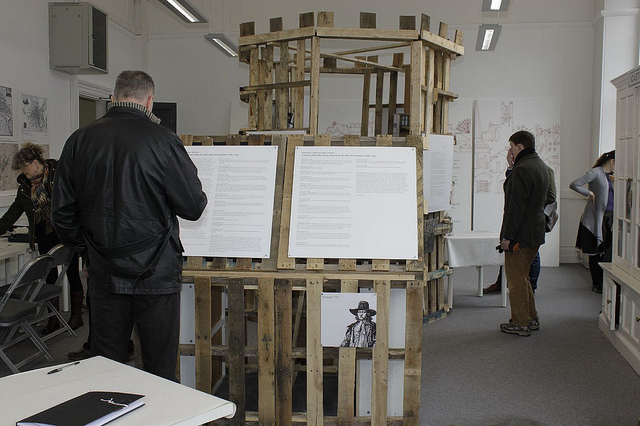 Their work was presented as a multimedia exhibition, which showed at the Storey at the end of February 2013 before transferring to Lancaster library. You can explore the online version of the exhibition here.